Really…who signed off on that kindergarten garbage? Sometimes you just have to scratch your head and wonder. At any rate, our kick a** designer, Patrick, decided to take 5 minutes and tweak the current design to make it look half-way reasonable. What he came up with was a massive improvement! Viewed over 1.1 million times. 10,194 points. Top of r/design for the entire day. Got as high as #6 on r/all! 4609 points and almost 1,000 comments. 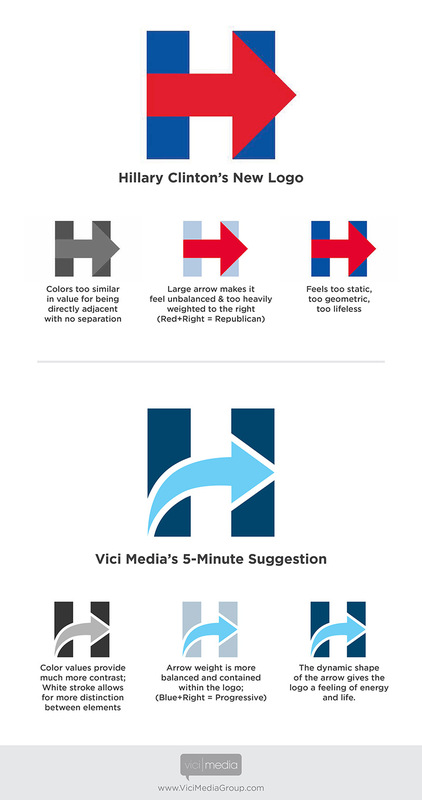 What do you think of Hillary’s logo? The redesign? Drop us a note!